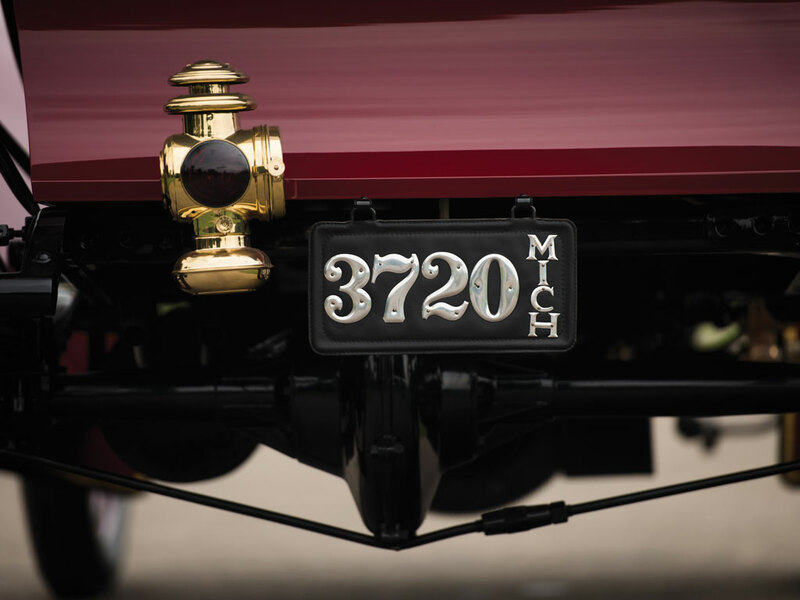 Our nickname for the car was inevitable from the moment it was rolled out of the museum and started up. 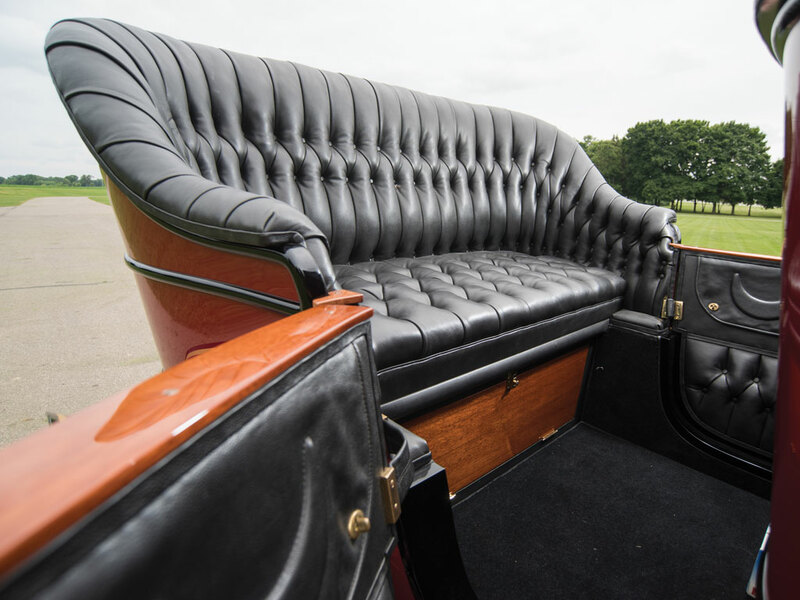 Our first impression of massive solidity evaporated the moment it began to run. 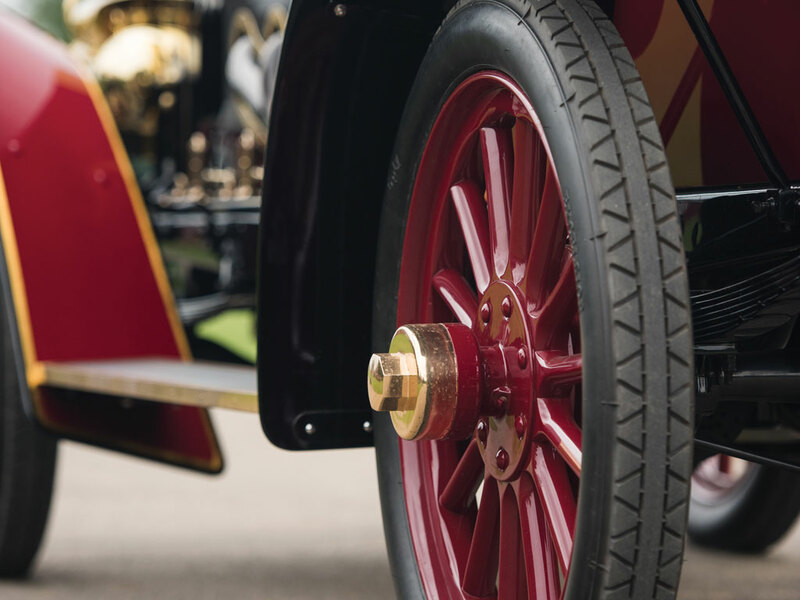 Those rakish fenders, which seemed only a moment before to be only slightly less substantial than a quartet of fire doors, suddenly began to flutter and beat the air with such ferocity that it seemed that with just a little encouragement it might actually fly. 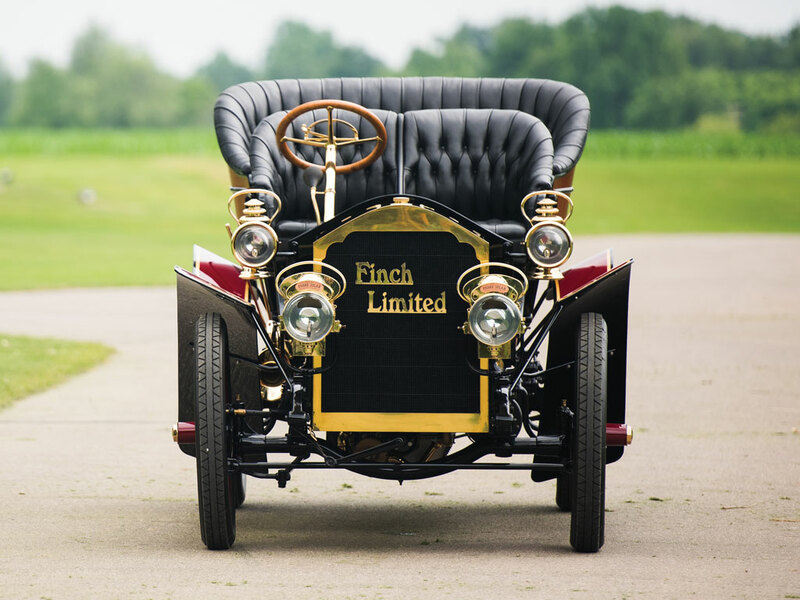 The automobile they were driving that day was this car, the Finch Limited; we say “the” because it was, in all likelihood, the only one ever built by the ill-starred partnership of Detroit gasoline engine manufacturer Edward B. Finch and his father-in-law, carriage builder William A. Pungs. 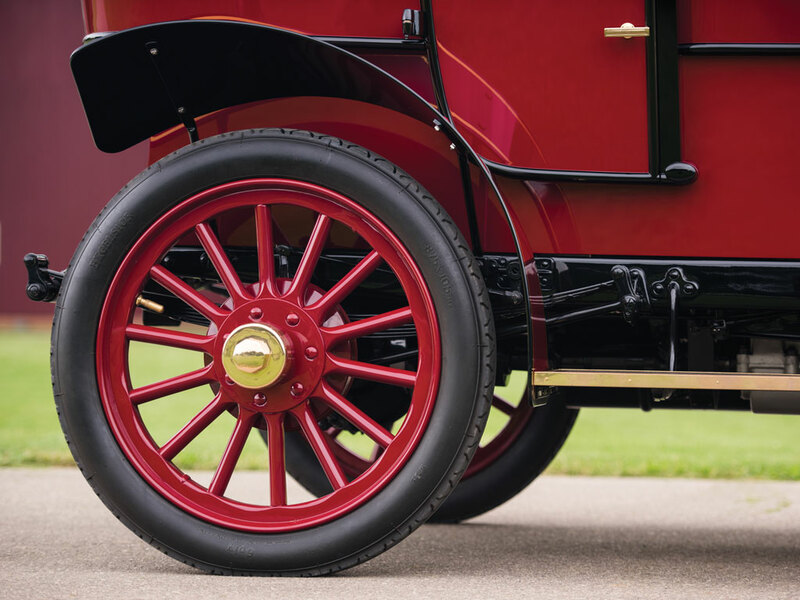 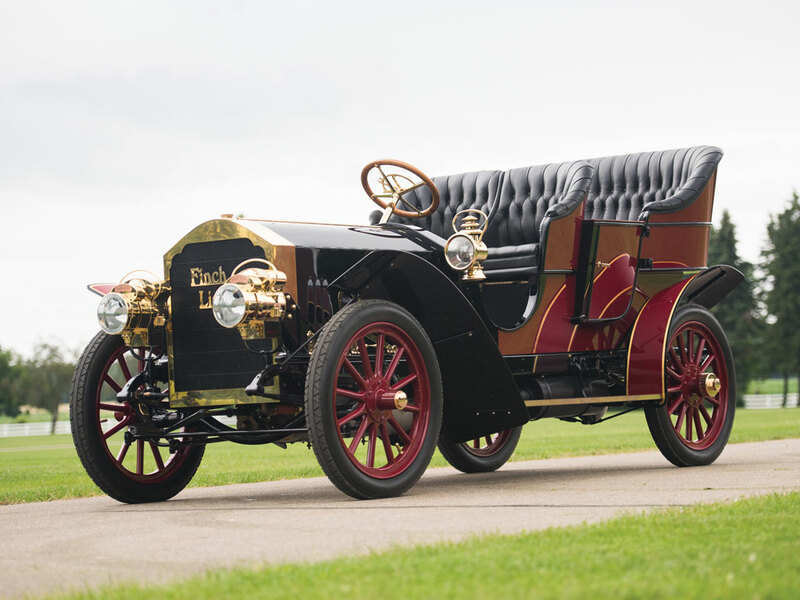 The partnership had built its first automobile in 1902 and moved, like many companies of the era, quickly and audaciously. 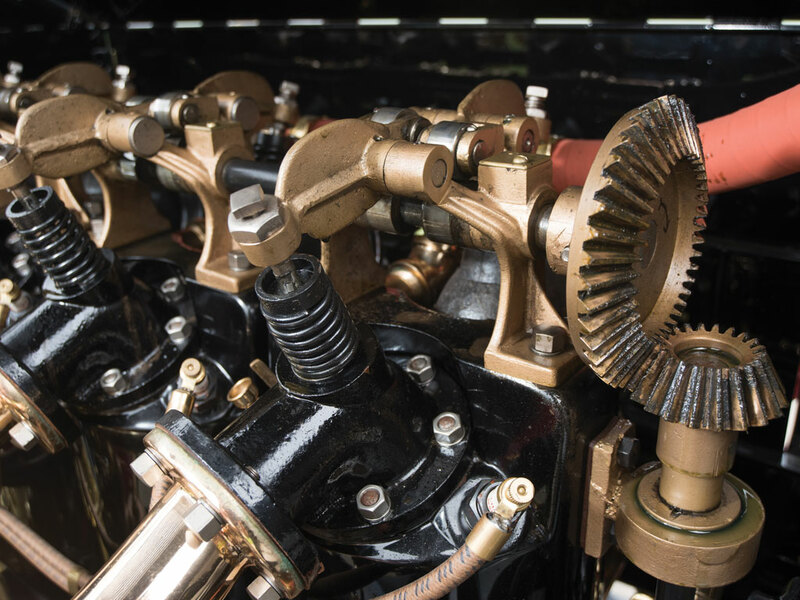 They adopted a propeller shaft and bevel gear drive the following year and by 1906 were ready to build their masterpiece. 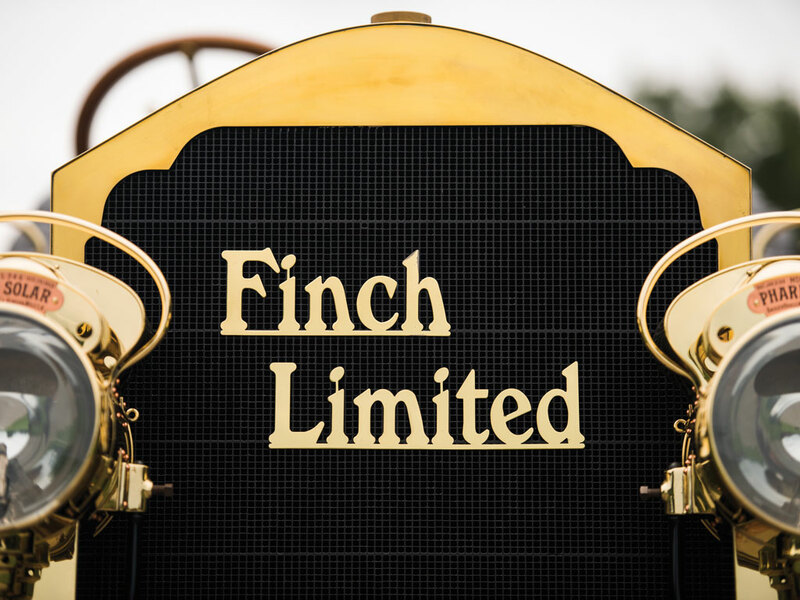 Continued production of the Finch Limited never progressed beyond a single prototype. 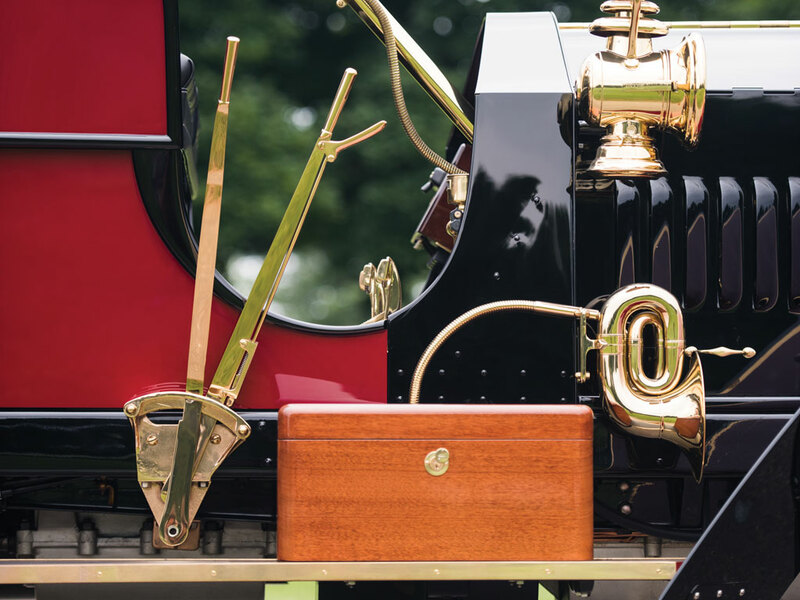 Not surprisingly, the in-laws who decided to build a car together wound up not getting along, and the partnership dissolved along with any hope for the company. 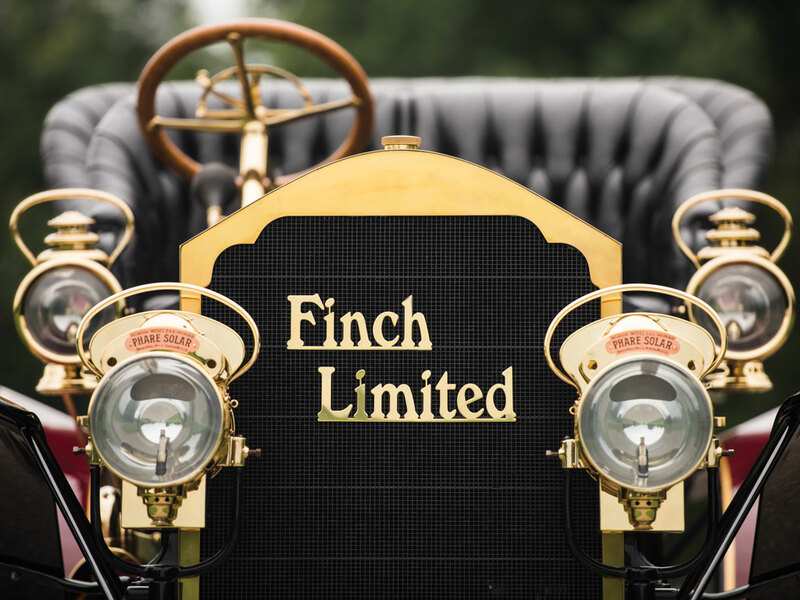 The prototype Finch Limited wound up in a corner of the original factory from which it emerged in the early 1950s, in the hands of Detroit enthusiast and Packard employee Ed Cunningham. 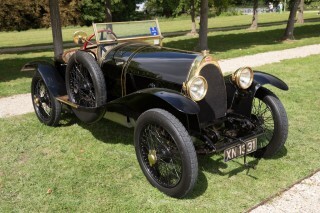 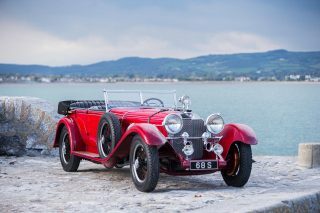 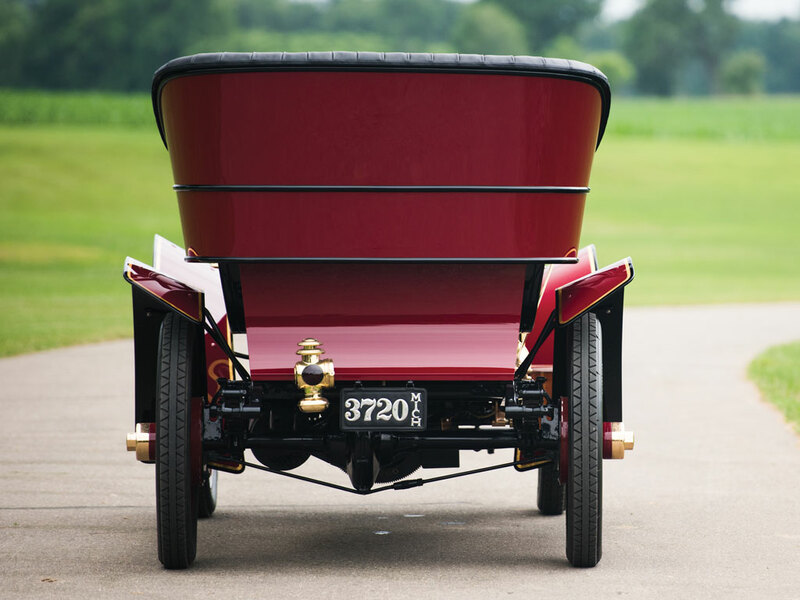 Sold to Henry Austin Clark Jr., shortly thereafter, it was restored with a new runabout body designed by Richard Teague (later of AMC design fame) and built by masterful restorer Leonard Davis. 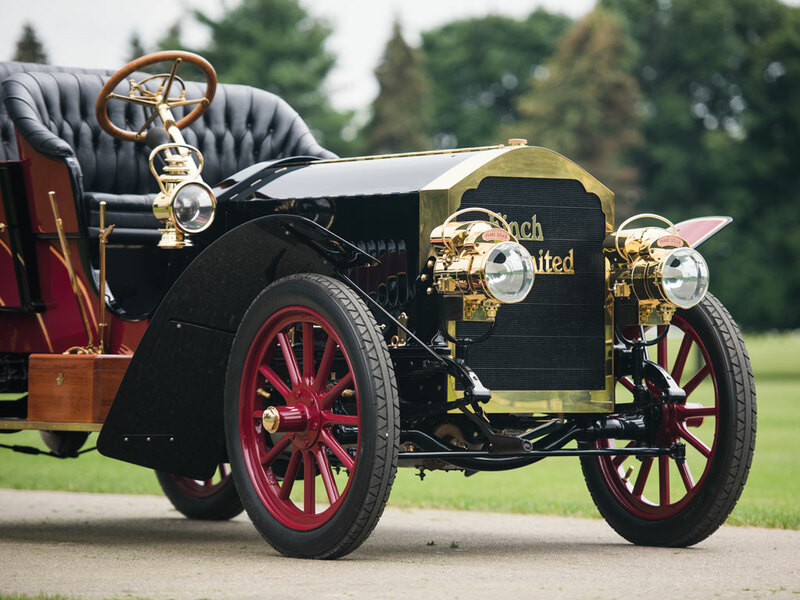 In this form, the car appeared in Automobile Quarterly, Volume 8, Number 1, in an article by Beverly Rae Kimes titled “Pungs-Finch Indeed!” that was later anthologized in the AQ book World of Cars. 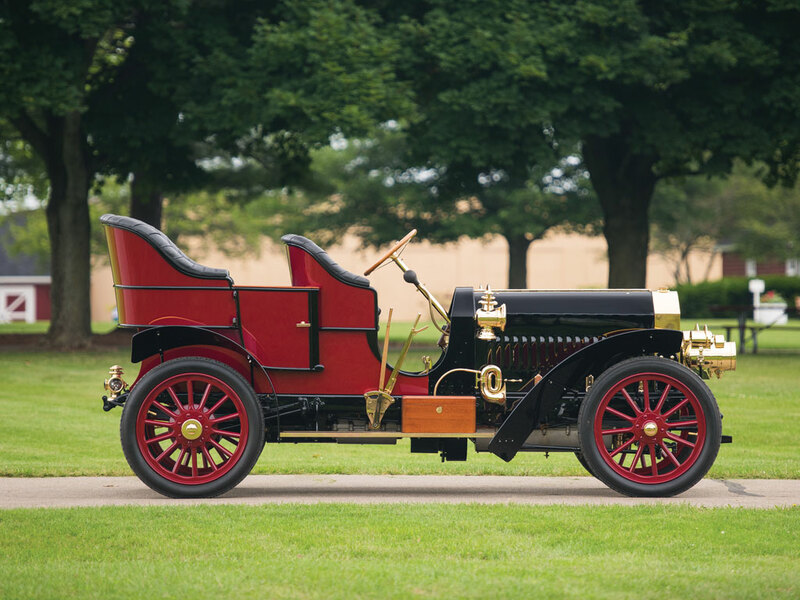 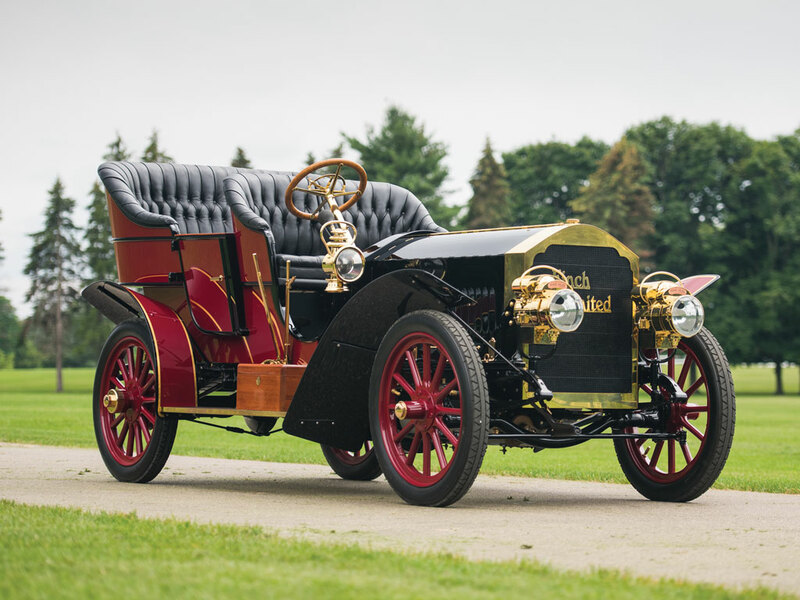 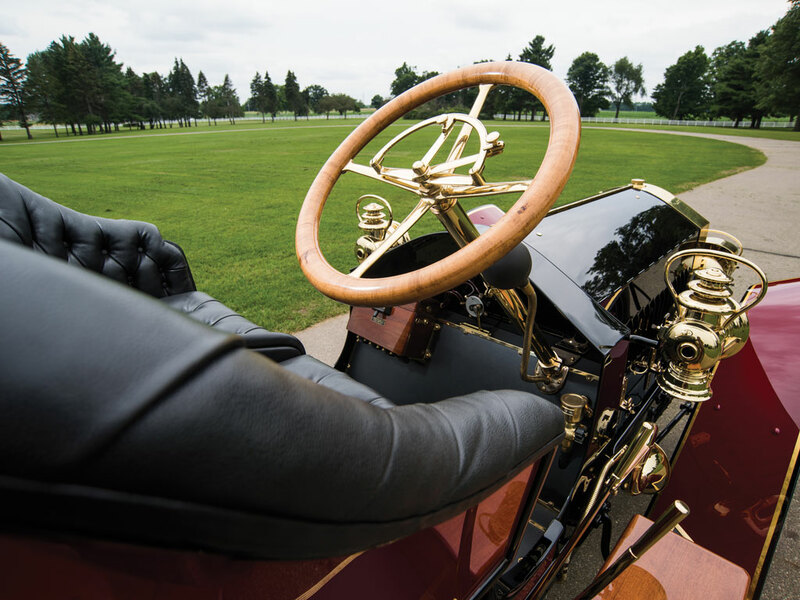 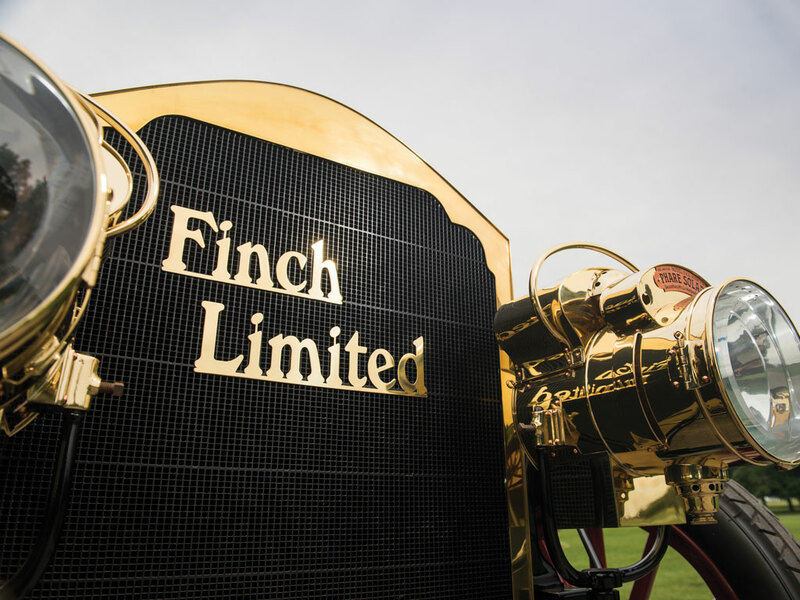 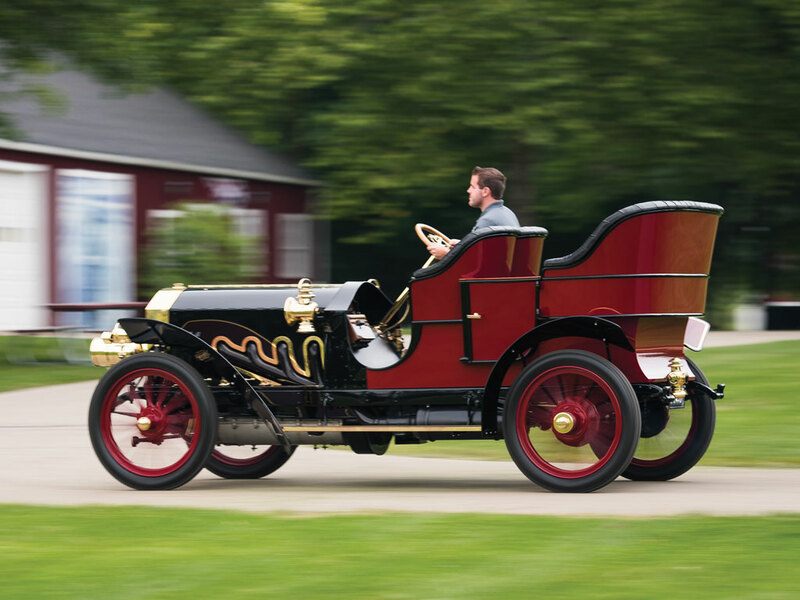 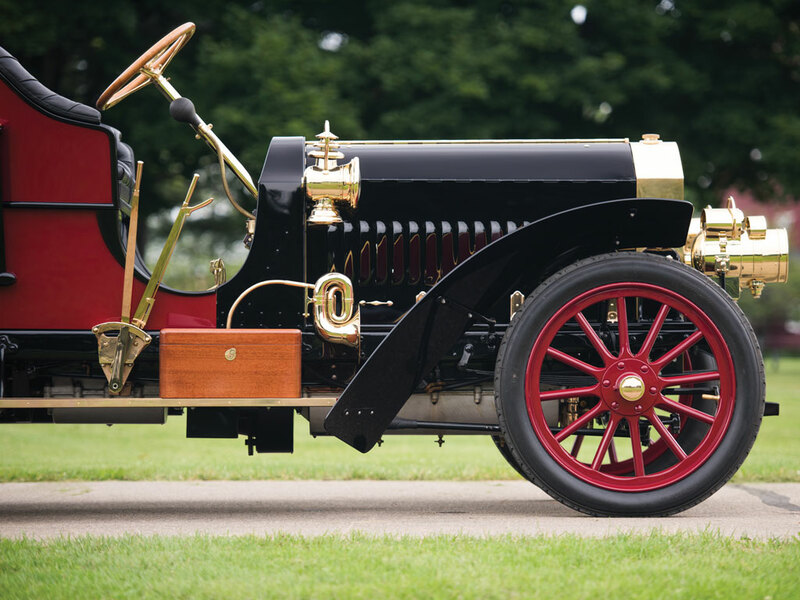 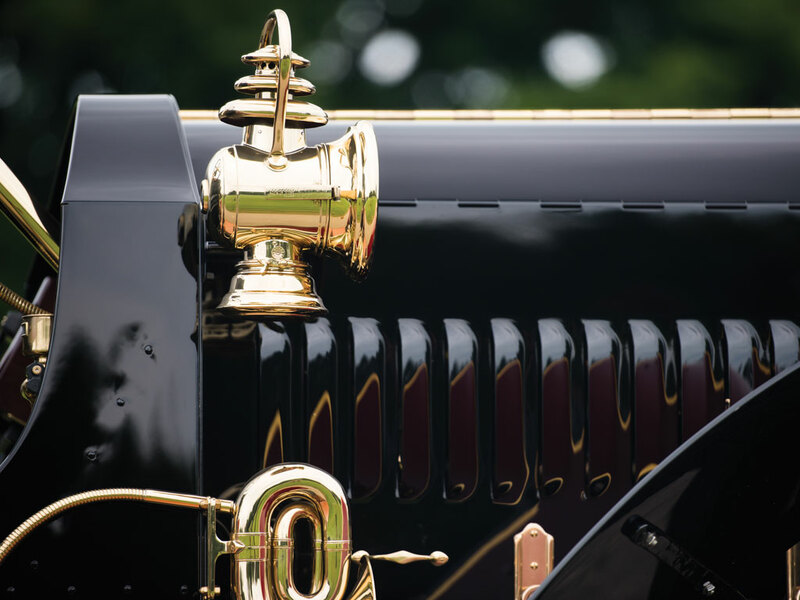 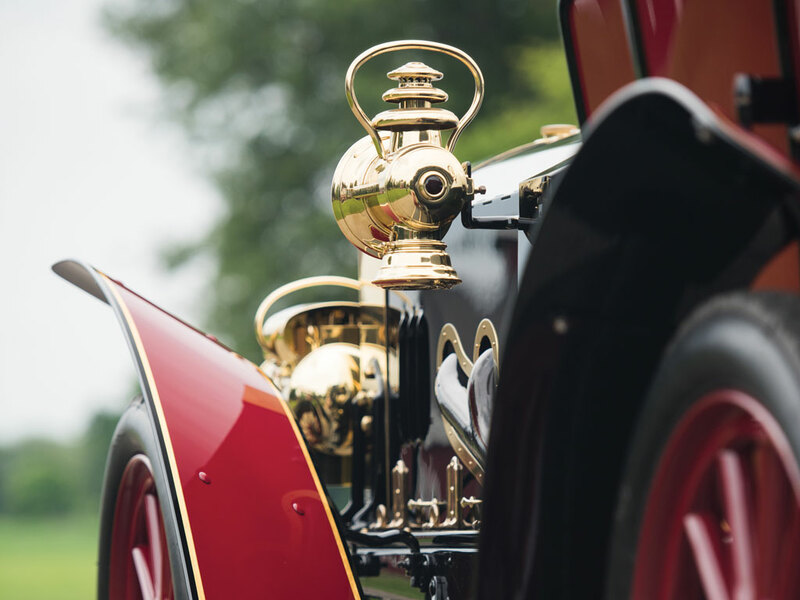 The Finch Limited remained part of Clark’s collection until 1979 and then was donated to the San Antonio Museum of Transportation, which brought it to the Pebble Beach Concours d’Elegance in 1981, where it won the Charles Chayne Trophy. 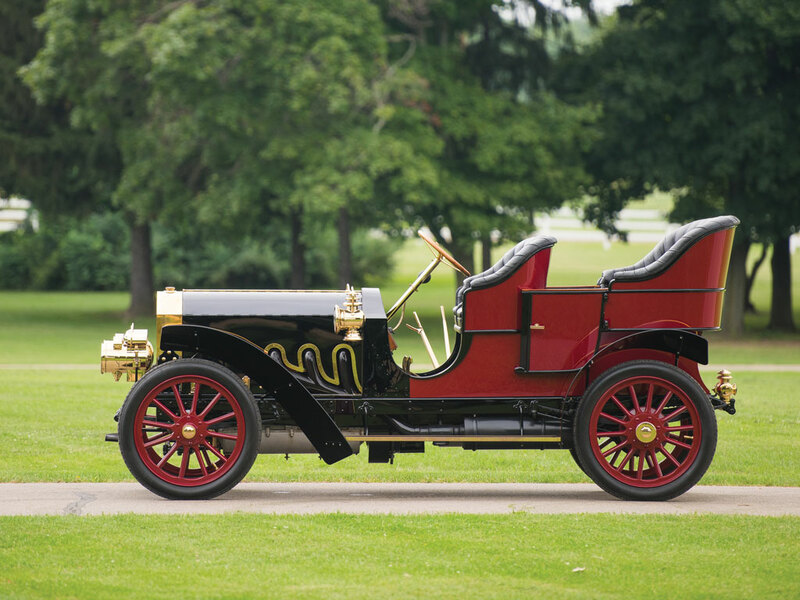 It was displayed in the museum until 1994 and then was acquired by Jan Voboril, of California, from whom the present owner acquired it. 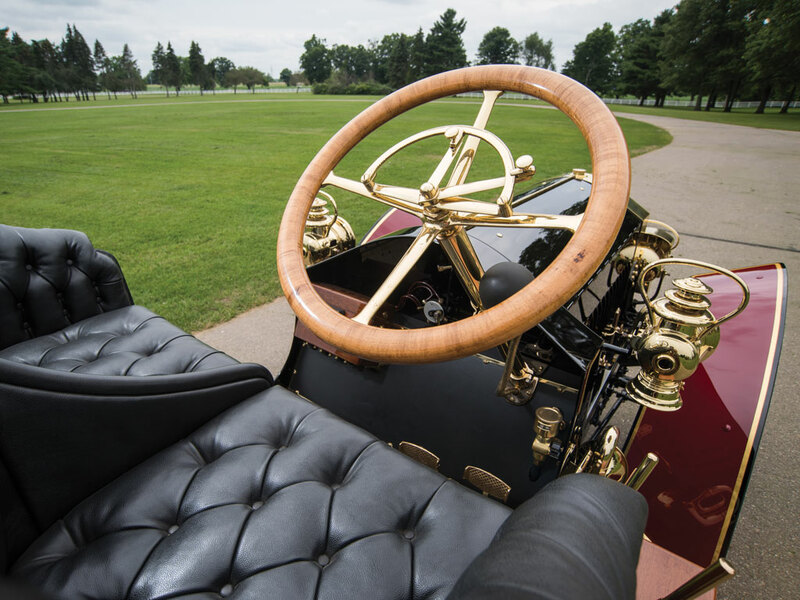 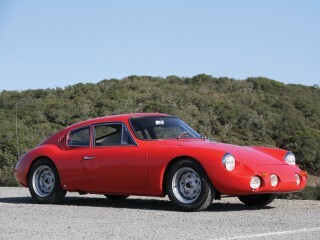 In his ownership, it was restored by Brian Joseph’s respected Classic & Exotic Service, of Troy, Michigan. 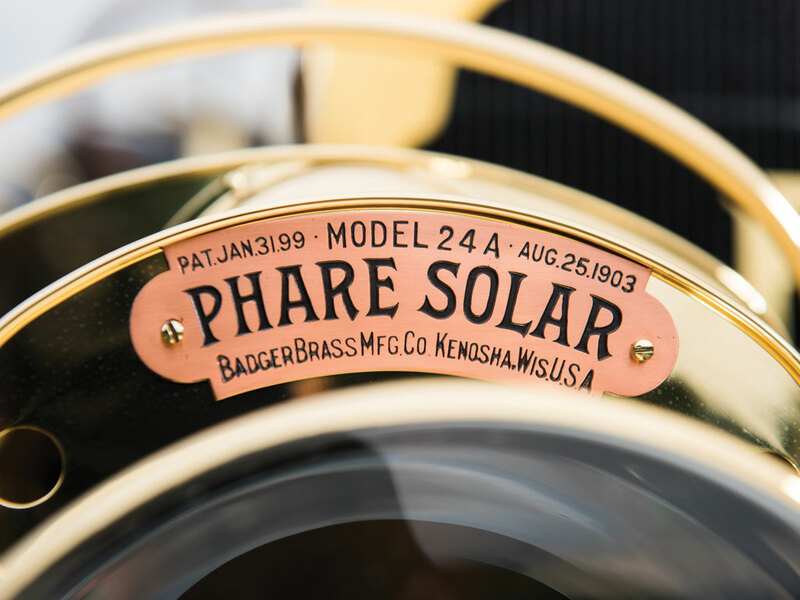 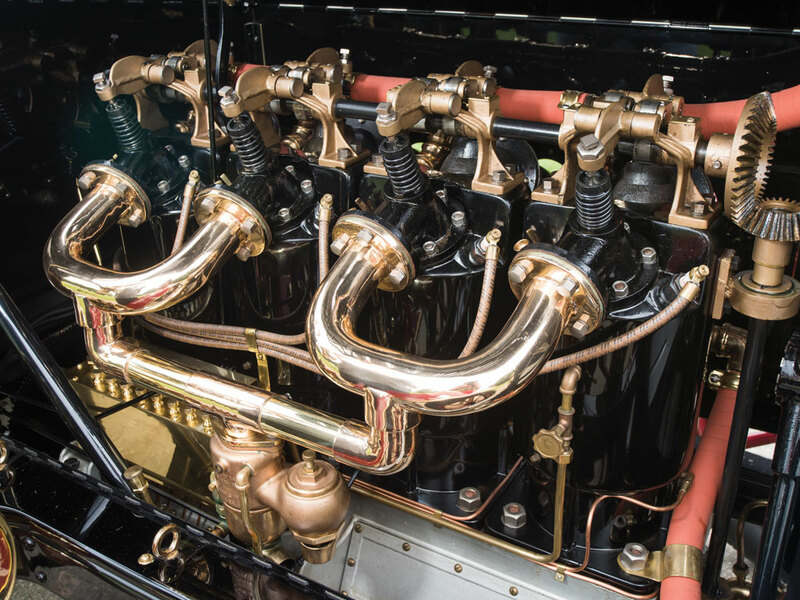 The original wooden touring car body was painstakingly recreated, and a correct brass radiator was fabricated to precise original form. 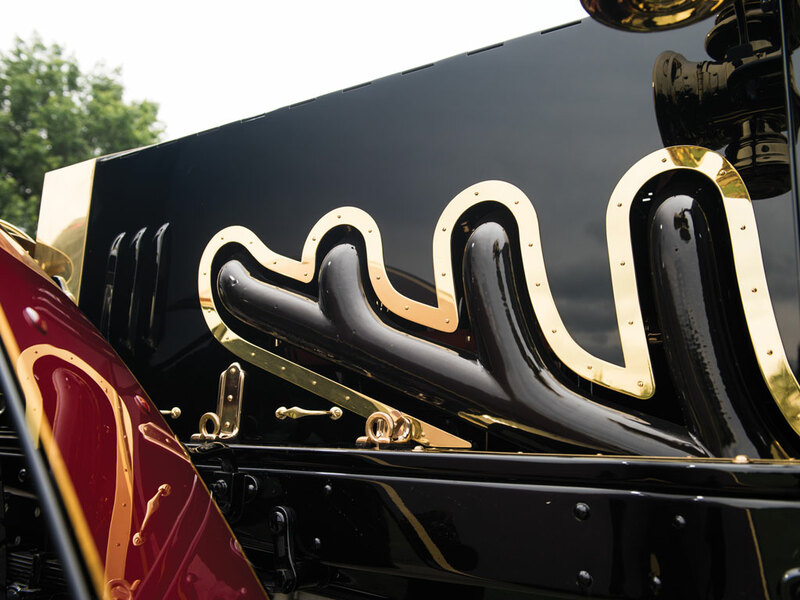 Original factory photographs, copies of which are on file, allowed for the recreation of original trim to exacting specifications. 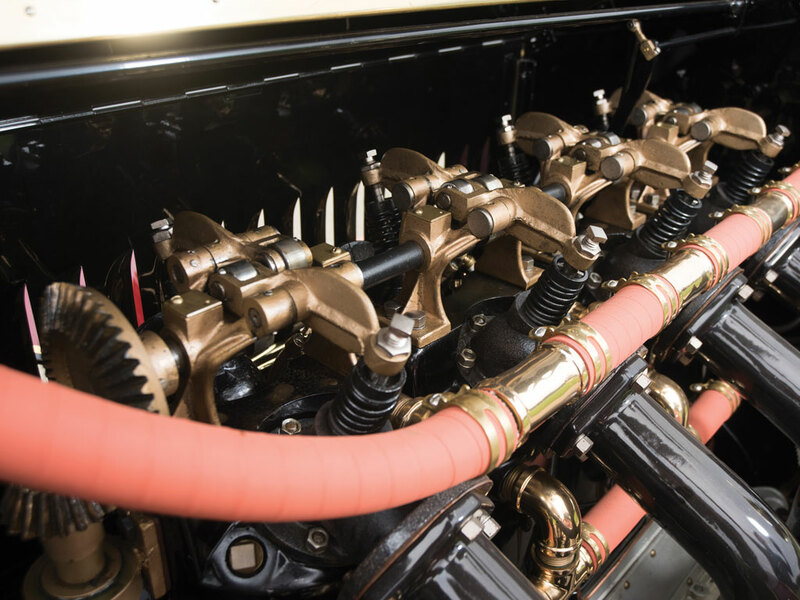 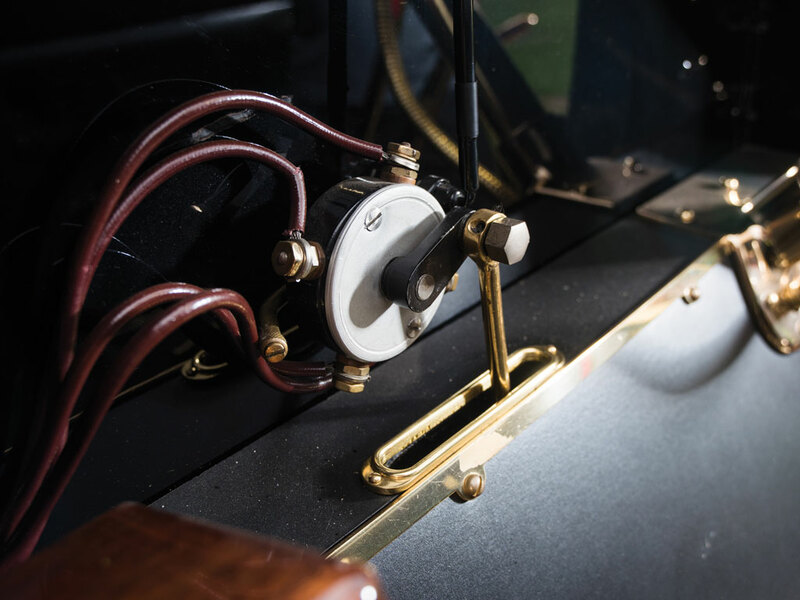 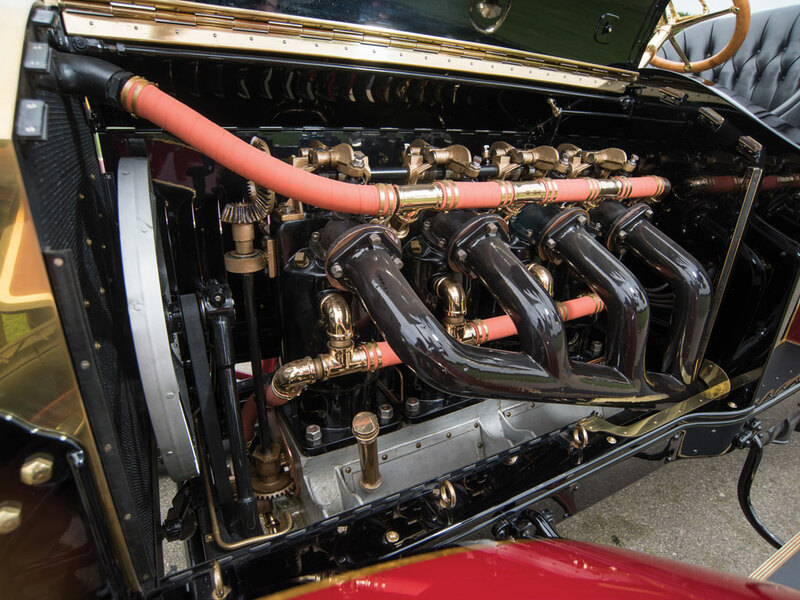 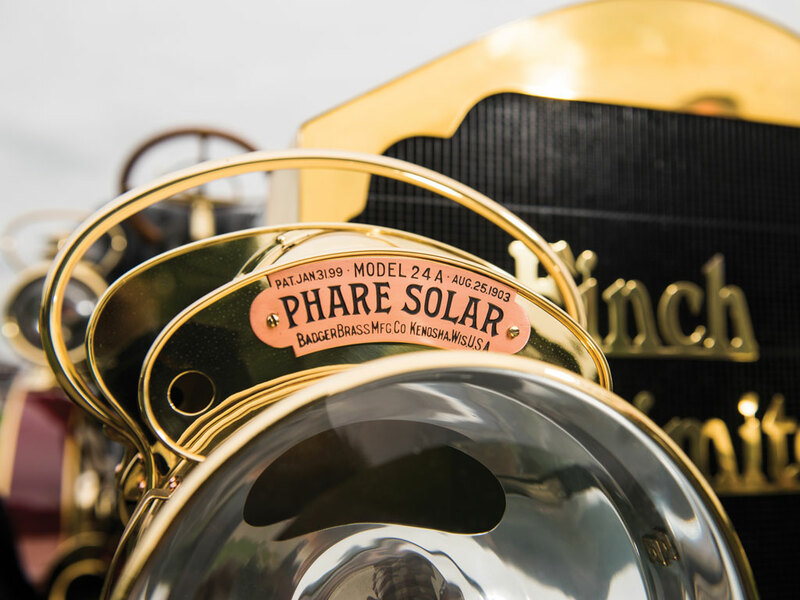 Aside from the radiator, every major mechanical component of the car is the original, and it stands today as when Mr. Pungs and Mr. Finch finished it. 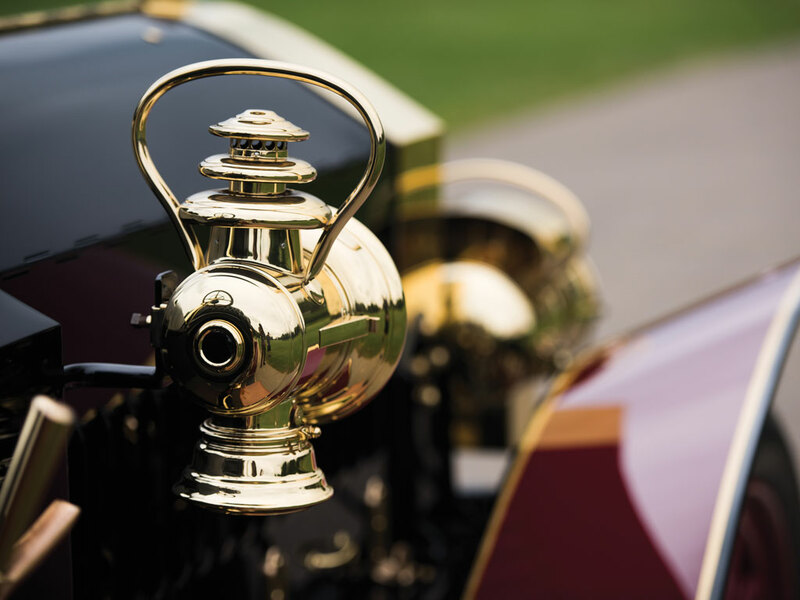 It has since returned to Pebble Beach in 2008 and appeared at the 2009 Amelia Island Concours d’Elegance, winning the Racetoration Award. 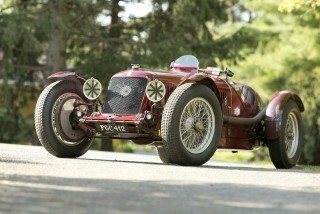 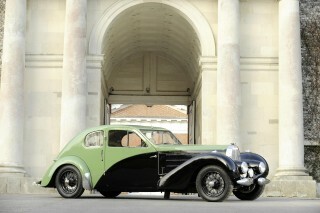 Truly Limited in every sense, this incredible creation marks the ultimate automobile of its era.